A great pair Sunglasses is the perfect finishing touch to any look. Personally I love Sunglasses because it keeps you hidden when you dont want to be seen ( like right after you get of a redeye). I’m kind of an introvert so I try to always have one on hand when shooting on the street, its not my comfort zone at all 😁. So when I put on a pair of glasses I feel like I have this instant shield and the anxiety floats away. Sunglasses have the ability to make any look more modern/fresh and more on trend. But they also have ability to have the opposite effect. Most of the time the freshest pairs of Sunglasses cost upwards of $150 and I don’t know about you but if I’m paying, over $$ for something I want to know that I can wear it for a couple of seasons. However due to trends the shelf life of a pair of Sunglasses isnt very long which for most makes spending $250 for a pair unjustifiable. 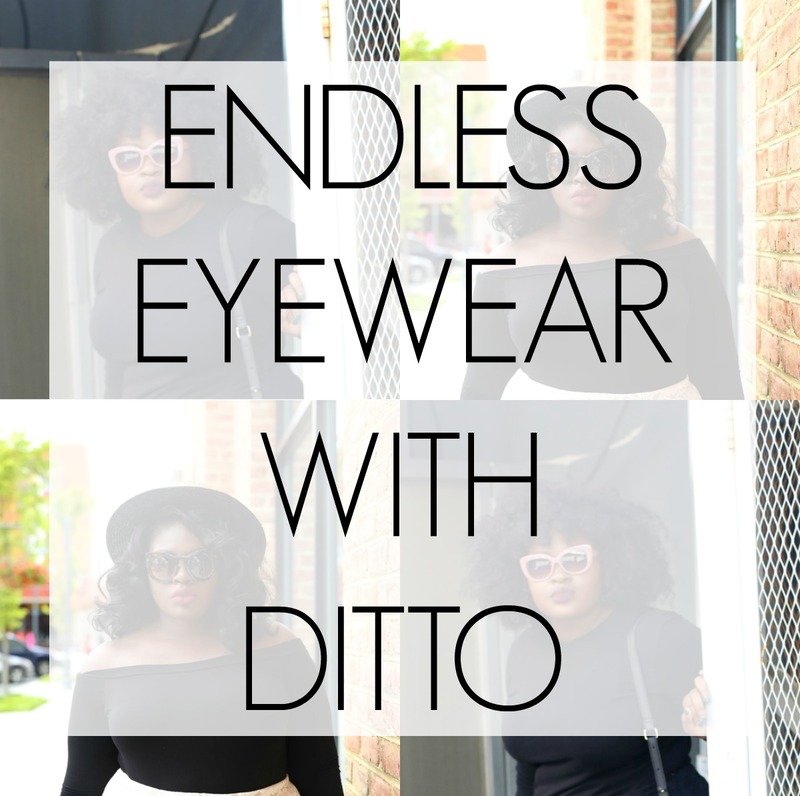 That’s where Ditto.com comes in, Ditto.com is an eyewear subscription rental service that allows you to rent designer sunglasses for only $24 a month and swap them out as needed. It’s perfect for someone who’s on a budget and does not want to splurge on a pair of Sunglasses but still appreciates quality and likes wearing modern eyewear. They have a plethora of modern styles as well as classic styles like Aviators. I’ve been using the service for almost three months and have no complaints at all, the setup was simple. Additionally the swap process is painless, however if you love a pair you have the option to purchase at discounted rate. Finding the right pair the first time was a breeze because, I used the “my ditto” tool a tool that allows you to take a pic of your face and try on different pairs. I also ❤️ the bookmark feature and currently have over sixty pairs bookmarked. Do you love Raybans, Karen Walkers or Miumiu’s (gorgeous pink box 😍)? You can rock as many pairs as you want for an entire MONTH on us!! Go checkout Ditto.com and use Code CHICSTER for your Month! ** Note I was provided with a complimentary membership, when you use my code I earn referral rewards ( you can too) however the thoughts and opinions expressed are my own.